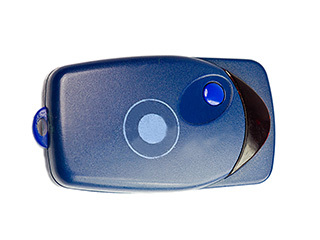 If your remote control has been broken or misplaced, you may be thinking about purchasing a universal garage door opener remote to replace the original one. Read on to learn why universal remotes are a popular choice for many homeowners. If your garage door opener has been around for a while, you may experience some difficulty obtaining a replacement garage door part for your unit, including the exact remote control for that model. Sometimes, manufacturers even discontinue certain product ranges to encourage consumers to install a newer system. This can obviously turn out to be quite expensive and frustrating if you don't feel yours needs to be replaced yet. For this reason, third-party universal remotes actually present a great compromise when it comes to maintaining functionality at a far cheaper cost. Most universal devices can be programmed easily to work with your existing system - it is worth just double checking that the particular universal device is compatible with your specific system. Many universal models of opener can be configured to operate more than a single device. For example, these remotes usually have a number of buttons which could be used to operate your door opener and an automatic gate. This makes things remarkably convenient since you only need to carry one clicker around with you, rather than two or three. If you are having difficulty with a faulty or a broken remote and are struggling to obtain an original replacement, a universal remote may be just what you were looking for. If you need assistance with programming or re-programming, our technicians are on hand to help you. This provides a much cheaper alternative to replacing the entire opener - if you are interested in learning more or would like advice about your remote and the way it works with your system, our experts at Garage Door Repair Fort Lauderdale will be delighted to assist you.